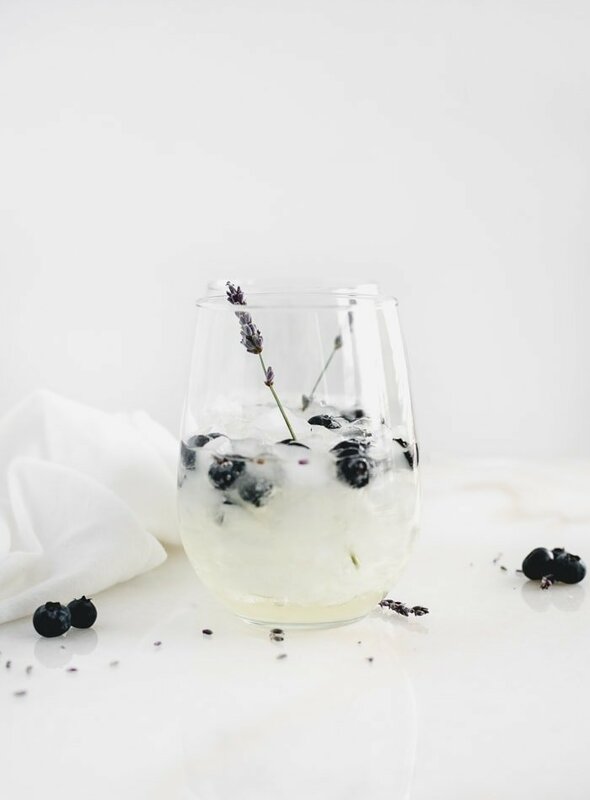 Delicate, floral Blueberry Lavender Sangria is a delicious, elegant cocktail to serve at all of your spring gatherings. It’s so easy to make but tastes impressive! Every spring, my obsession for all things lavender things comes back full-force. 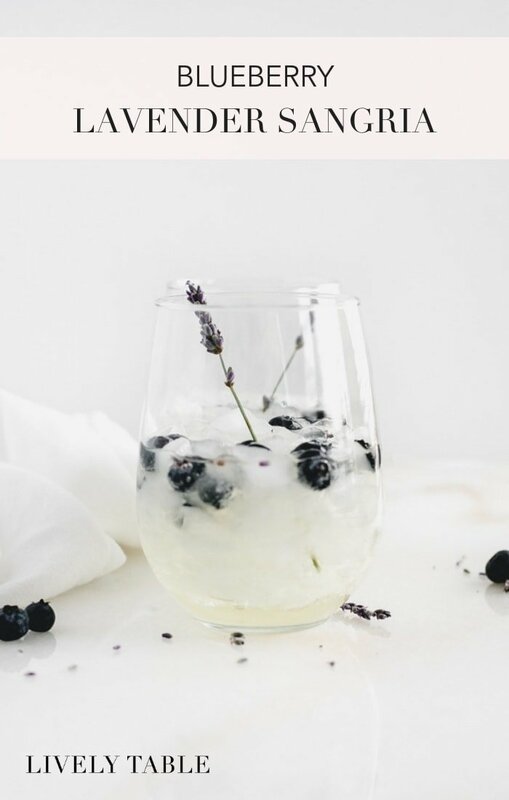 I’ve always loved the soothing smell and beautiful color of lavender, and have come to love a hint of lavender in my food and drinks at times, especially in the spring when delicate tastes and colors seem so inviting. One of my favorite cocktails to make is sangria since I love wine so much. I picked up a bunch of my favorite white wine that’s a little pricier last month at our local grocery store because they had a great sale, and since I’ve been drinking that pretty regularly, I can’t seem to get back into my normal more affordable wine. My solution for wine that’s not as great on its own? You guessed it, sangria! I thought an easy, bubbly sangria would be the perfect cocktail to introduce lavender to those who haven’t tried it in food or drink yet, or tried using it in their own kitchens, anyway. 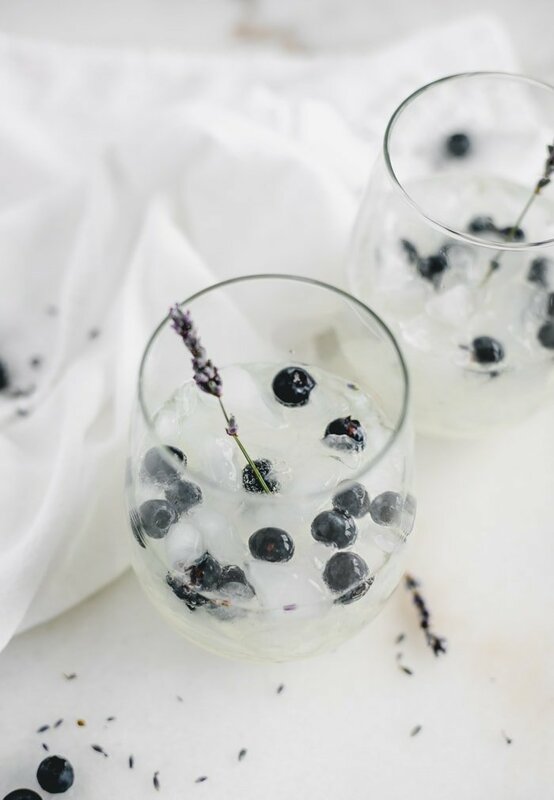 This refreshing blueberry lavender sangria is so simple to make, yet tastes complex thanks to floral lavender and bubbly prosecco. I’m seriously obsessed with how gorgeous this blueberry lavender sangria turned out. For how few ingredients are involved, it looks and tastes much fancier than it actually is. 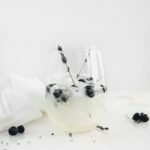 It’s the perfect fuss-free, elegant cocktail to serve at any spring brunch, from Easter to Mother’s day, and is especially festive for a wedding shower cocktail! on Amazon if they don’t have them in your local grocery store. If you want to make your sangria a little stronger, I think a touch of St. Germain would be a lovely addition. Though honestly, I think this blueberry lavender sangria is perfect just as it is! Cheers! 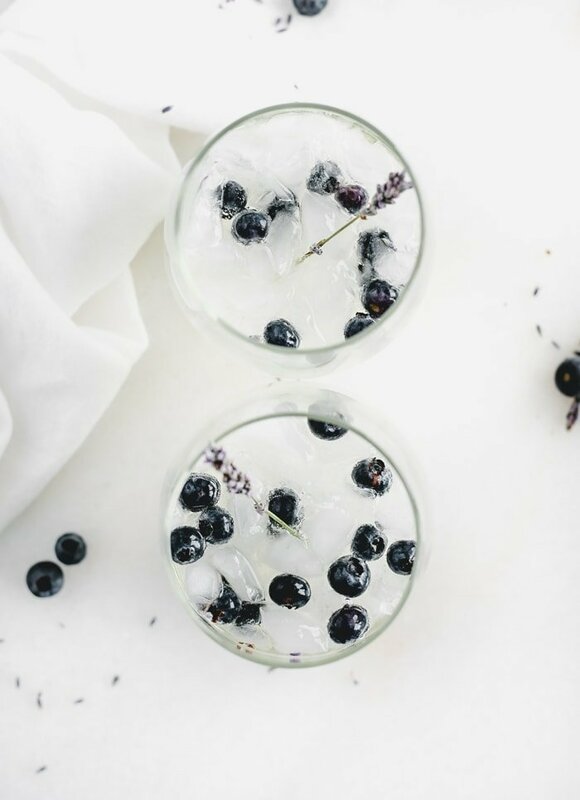 Delicate, floral Blueberry Lavender Sangria is a delicious, elegant cocktail to serve at all of your spring gatherings. It’s so easy to make but tastes so impressive! To make the lavender simple syrup: In a small saucepan, combine lavender sugar and water. Bring to a simmer, stirring to dissolve sugar. Remove from heat and let cool to room temperature. Stir in lavender extract and strain into a glass jar. Store in the refrigerator. To make sangria, fill a glass with ice. 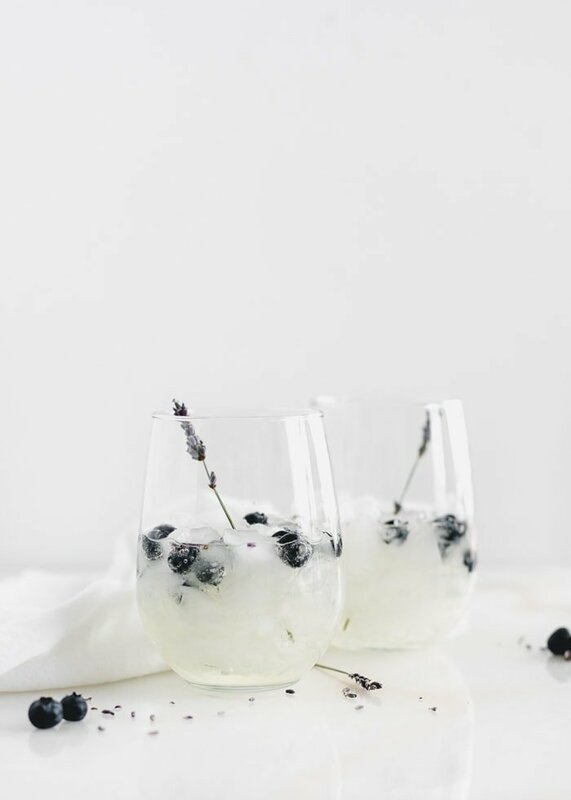 Add lavender simple syrup, blueberries, and prosecco. Stir gently and enjoy! To make a pitcher: Add a pint of blueberries and 1/3- 1/2 cup simple syrup to a pitcher. Add one 750 ml bottle or prosecco. Stir and serve over ice. *I make lavender sugar by mixing a couple tablespoons of food grade dried lavender buds with about 1 cup of sugar in a jar, and letting it sit at least overnight.